Herbal medicines are becoming more and more popular in today’s society. Our bodies are naturally rejecting all those synthetic drugs that in the long run are more harmful than beneficial and we know that nature is more powerful than we think. Our ancestors, after all, could only rely on nature to treat their conditions and herbal medicines have been on this earth centuries before the advent of synthetic drugs. People today are rediscovering the power of herbal medicine and are loving it. Today you will get to know the holistic power of the white dragon kratom. White Dragon Kratom is a favorite blend of two of the most potent white vein strains: White Maeng DA (MD) and White Elephant. These plants grow in many regions of South East Asia, but abundantly in Thailand and the Island of Borneo in Indonesia. The strength of this blend derives from the Maeng da strain that gives a vigorous boost in energy which is eased by the calming and soothing effects of the Elephant strain that helps with depression symptoms and anxiety. 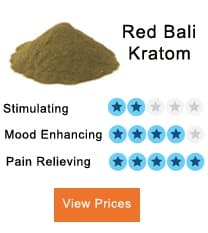 The mix results in a perfectly balanced variety of kratom that combines the properties of both and enhances the subtle effects typical of all strains of this unique herb. White strains have the most energizing effects. You can use this particular powder in place of your morning coffee or tea for a natural boost that won’t irritate your stomach. Sexual enhancement is another benefit of these strains. You can increase your libido and sexual endurance with a low dosage of white kratom. The stimulant effect will help improve your sexual performance and drive, you and your partner will take your intimacy to the next level. It will make you more friendly and more confident. Users reported having improved conversation skills and feeling more comfortable in social settings. This effect is also perfect to combat depression symptoms that lead to negative mood, low motivation, and lethargy. Being active has never been so enjoyable. 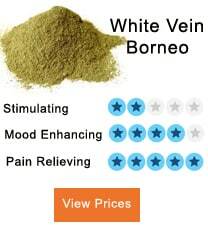 The stimulant property of the white vein gives you an alert mind without overstimulating your body. This way you will be able to keep a natural focus on your task without feeling extra jittery. Some users claimed to have seen improvements in their memory. The alkaloids present in the white strains of kratom do magic on our immunity system. From the flu to more complicated conditions of sickness, white kratom keeps your body protected thanks to the alkaloids and its anti-oxidant, anti-viral and anti-bacterial properties. The elephant strain enhances the sedative properties of the blend. You will benefit from an uplifted mind with positive and organized thoughts that will instill in you the feeling of relaxedness and peace for you are looking. White strains are not as powerful analgesic as the red strains. The concentration of endorphins released by the consumption of white kratom is not as significant as the concentration of endorphins released by the red strains, hence the difference in their analgesic strength. This characteristic is probably what makes this strain unique. People using this herb might not even feel anything. The results are highly subjective. 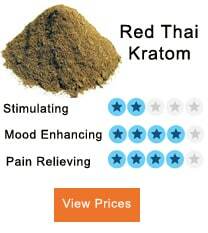 But contrarily to other strains, there are no side effects associated with the consumption of this kratom. White dragon kratom finds its popularity among users who need to combat fatigue and lack of focus. This blend is perfect for an extra boost that will last the whole day, but it won’t make you feel hyperactive and agitated. The lower amount of muscle relaxing alkaloids reduces the sedative and painkilling power of the strain. However, the Maeng da fraction of the blend contributes to counteract anxiety and depression symptoms. Overall the mixture will result in improved physical performance and endurance combined with a positive, productive mindset, effects that make this blend a great morning routine for those who struggle to wake up and get their day going. The white dragon kratom will trigger stimulatory responses at low doses, while at higher doses you will start benefiting from the sedative and painkilling effects as soon as the elephant strain starts to kick in. For sexual enhancement, you should keep the dosage low, between 2 to 4 grams as a higher dosage would result in the opposite effect. Moreover, you might want to keep an average dose ranging between 1 to 6 grams if you do not want to risk dealing with the overstimulating effects of the Maeng da strain. 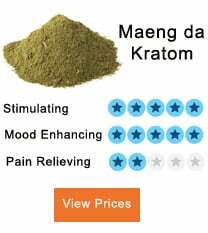 Gaia Ethnobotanical is probably one of the most comprehensive kratom online stores. Users love the variety and the quality of the products. However, at the moment they do not accept credit, debit or prepaid cars. 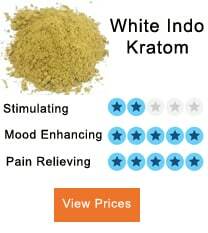 You can find white dragon kratom starting at $5. Valkyrie Botanicals is a high-quality kratom retailer with fast shipping and excellent customer service. Their shipping currently does not cover all states. Keep an eye on their website to know when white dragon will be restocked. If you are looking for Fair Trade products, The Herbal Cafe is your match. With 13 years of experience, they deliver the finest herbs to their customers. You can find your energy blend here starting from $19 for 30 grams. If the kratom powder is not for you, try the capsules. At Andromimetics you will find high-quality capsules at a competitive price. Buy white dragon capsules at a price of $68.99 for a 300-count bottle. Titan Kratom, specialized in herbs, organic teas, smoke blends, and cannabinoid products, offers quality products at an affordable price. Grab 28 grams of white dragon powder for just $7. White Dragon Kratom is for you if you need an ally when it comes to starting your day off on the right foot and keeping a positive attitude throughout the day and also if you need an extra sparkle in your love life. Users loved being able to be productive and overall faster in completing even the hardest or most boring tasks, not to mention the overall feeling of relaxedness that comes with it. White Dragon Katrom sets the right mood we need to overcome everyday life obstacles.